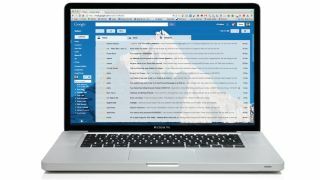 Google is taking on email security threats with the announcement that Gmail is working on a new alert system that tells you if an email was sent over an unencrypted connection. According to a blog post on Google's online security blog, the search giant conducted a two year study into email security with the University of Illinois and the University of Michigan. The study shows that while reliance on encryption is increasing for email services, there are regions across the world that are working against these systems by tampering with secure SSL connections and DNS servers that purposely allow room for attacks through malicious routing. Google explained that generally, these attacks don't affect Gmail-to-Gmail exchanges, but it could affect emails from other providers as they are routed from different servers. To combat and prevent these styles of attacks, the search giant says it will be rolling out the new alert system in the coming weeks, which will basically work as a pop up warning when you receive a message through a non-encrypted connection "to notify our users of potential dangers."